David periodically makes his books available via eBay (his ID is BlobBeer) and he accepts PayPal payments sent to his tingen1@mindspring.com user ID. For additional information, contact David via EMail at tingen1@mindspring.com. 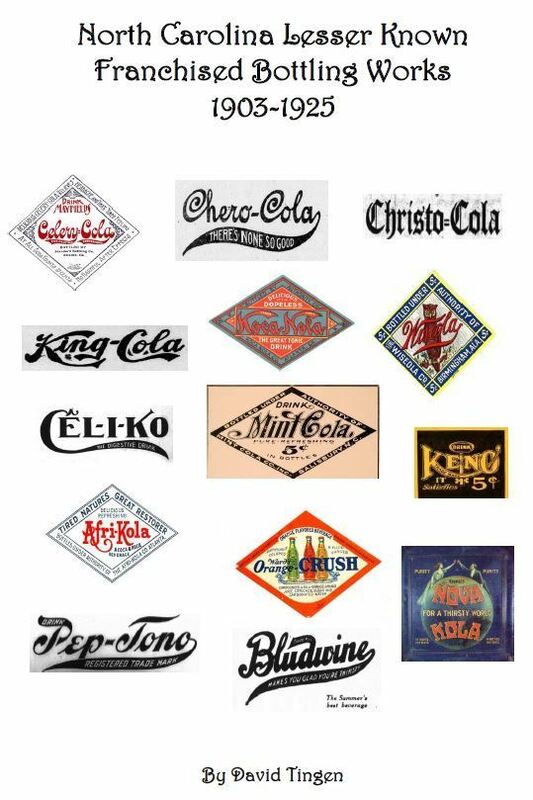 This book contains 75 pages of details with advertisements, articles and history including over 40 brand names. $15.00 plus $3.00 for shipping via USPS Media Mail. This book contains over 70 pages of details with advertisements, articles and history including 117 cities and towns. $15.00 plus $3.00 for shipping via USPS Media Mail. 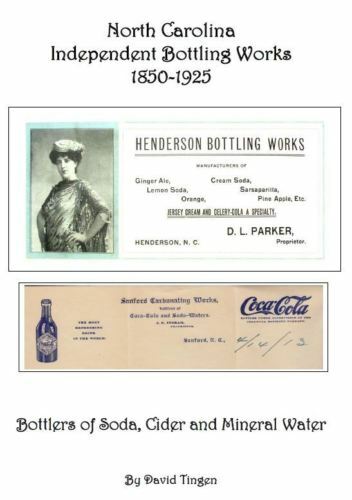 Over 65 pages of details including advertising, articles and history. Spiral binding and heavy photographic paper were used to allow for long term reference use. $15.00 plus $3.00 for shipping via USPS Media Mail. 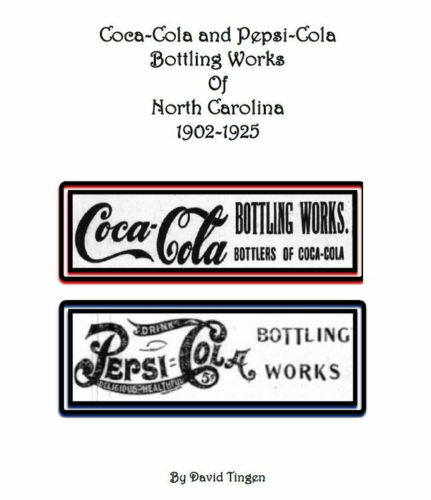 This book contains over 60 colored bottle pictures and over 70 pages of details with advertisements, articles and history. 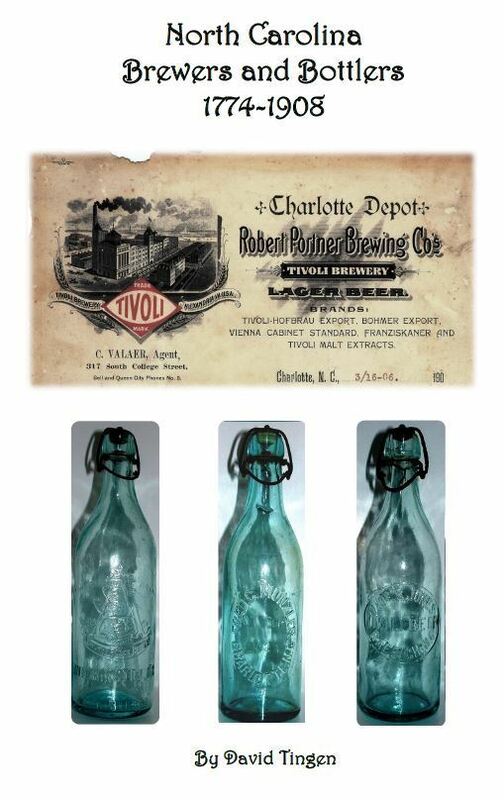 Also included is a companion CD containing over 400 additional images of bottles, advertisements and articles by city and date. $30.00 plus $3.00 for shipping via USPS Media Mail.